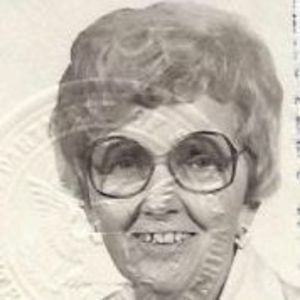 CENTRAL CITY - Bobbie Humphrey Gish, of Central City, KY died Wednesday July 11, 2012. She was born in Cherry Hill and was a member of the First Baptist Church,Central City for more than 77 years. She was made a Kentucky Colonel when she served as President of the Spice of Life Club of the Baptist church for four years. She retired from the Kentucky Utilities Co after working as Home Service Advisor for 32 years in Muhlenberg and McLean counties. She was a member of the Mt. Zion Homemakers Club for over 60 years where she served as President, Vice-President, and Secretary-Treasurer several times. She served as President of the Pennyrile Area Homemakers for two years and was on the State Board for two years. She was Secretary-Treasurer of the Muhlenberg County 4-H Council for 30 years. She was the widow of Delmas Gish who died in 1998. Survivors include one son, Lance Gish of Brentwood, TN; one daughter, Peggy Fulcher of Orlando, FL; two grandsons, Tyler and Randall Gish of Brentwood, TN. Sorry for your loss, It's been a long time ,hope you two are OK.
Bobbie was a dear friend during my days in Muhlenberg County as Cooperative Extension Agent for Family and Consumer Sciences. She was a valued leader in the Extension Homemaker Program and in other aspects of the community. I appreciated her support and friendship. She will be missed by all who knew her. OUr prayers will be with the family in the days ahead. We are so sorry for your loss. Thinking about you during these most difficult times. Wish we could be there. Peggy, I am so sorry for your loss. I know how much your Mother meant to you. Marlene and I send our deepest sympathies.